There is environmental degradation under Trump, for sure. However, it would be a major mistake to think that things were better under previous administrations on that score. Matters were sufficiently horrible under ALL administrations (through Clinton, Bush, Obama and Trump) to demand the most severe condemnation. And NEW EFFECTIVE ACTION — designed to improve public health — must acknowledge what I’ve touched upon above. It is far too easy to score points with a blame game that hits easy targets in lieu of DOING something in solidarity now that will make a big enough difference in time. We have deadlines, and striking out at the blatant downsides of a given politician distracts us from the radical action we must take together ASAP. Climate-related issues and our nuclear dynamic deserve to be priorities, but the proliferation of pesticides, I consider, equally important by most standards. In fact, one could argue that the way in which chemicals are impacting on our lives at this very moment (and have been for quite some time) is every bit as important as the two crises which draw the most press coverage these days. On the eve of the 2012 elections, the EPA administrator , Lisa Jackson, started an offensive to try to prove that her boss Barack Obama, cared about public health. On October 21, 2011, she denounced Republicans for delaying the implementation of smog rules. She also said it was necessary to clean up pollution from power plants. Cutter had a point to a limited degree. But WHY did the Obama administration wait three years to point out the clear and documented dangers of unregulated power plants. WHY were they asleep at the wheel? Yeah — easy hits here! — Republicans were unified agains regulating industrial pollution. But Vallianatos — with 25 years of experience laboring as a top scientist for the EPA — tells me definitively that both major parties fight tooth and nail to block anything like real environmental protection. Unequivocally, that’s the reason it took twenty years to broadcast that arsenic mercury, chromium, nickel and acid gases are bad for our children. 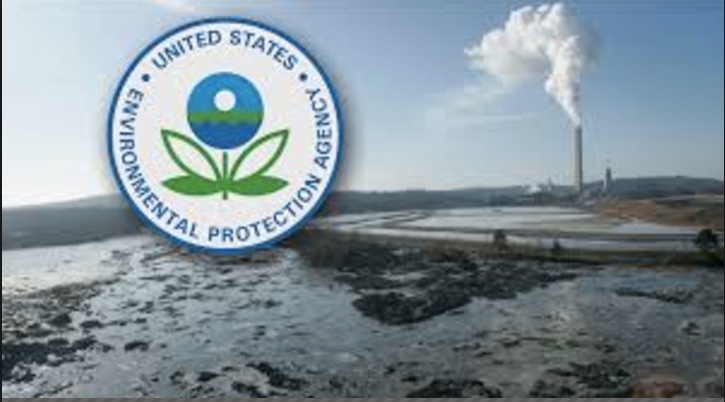 In fact, the EPA — “run like the Mafia,” according to Vallianatos — had known for much more than twenty years that half the country’s twelve hundred coal- and oil-fired electricity plants did not use modern pollution controls. EPA had also known that breathing the air the factories emit causes cancer and other deadly diseases. Dina Cappiello first established that fact in an Associated Press article back in 2011, and I’ll be happy to provide a copy of that definitive documentation, upon request. Decent folks — concerned citizens — fancied that after eight years of doom and gloom Bush leadership that things would change under Obama. But they didn’t; in fact, on certain significant counts they got worse. Pesticide proliferation was being given a free ride, and the politicization of science was every much in place as it is now under Trump. President Obama had priorities that did not include environmental integrity or the protection of public health. The economic damage caused by Bush forced Obama’s hand a bit, moving him to Wall Street for advice. He rushed there with relish with a front man — Rahm Emanuel — who had made $18.5 million in less than three years at a Wall Street bank. And his successor, William M. Daley, son and brother of powerful Chicago mayors, had worked as a member of the inner core of JPMorgan Chase. Bill Moyers and Company documented all this very well with his “Crony Capitalism” PBS segment in early 2012. And, truth be told, Obama never picked Penny Pritzker as his financial advisor during his first campaign run, her ultra-powerful Chicago banking family picked up to be The Candidate. This is NOT the stuff that REGULATION is made of, yes? [Pause.] Right, it isn’t. In early 2012, Jack Lew succeeded Daley, the former director of Office of Management and Budget with deep roots in Citigroup. With such powerful Wall Street forces whispering in his ear day after day, it’s it should have been no surprise to anyone paying the least bit of attention that Obama left environmental protection and public health entirely out in the cold. And yet… folks re-elected him. And, furthermore, sweet people still sing his praises. Remember, we’re isolating environmental issues here, not addressing any advances that were made carving out campaign victories on other scores. But even concerned citizens can be… unaware. Astoundingly so. Willing to distract themselves from what they need focus on… for survival. At least as influential as the bankers were the voices from industrial agriculture. And among the people Obama appointed to important regulatory posts were Carol Browner, Tom Vilsack, Roger Beachy, Michael Taylor and Islam Siddiqui. What bound these officials together was their bias toward agri-business and their absolute commitment to the genetic engineering of food. In other words, they shared the same view of the world as MONSANTO. Everyone knew that Bush had threatened the EU governments, advocating on behalf of Monsanto’s interests overseas. A “Wikileaks Cables” segment on Democracy Now! as early as 2010 made that crystal clear. But the scorecard being in never precludes people blinding themselves to honor political party identity or some other silly concept, notion… ecocidal rationale. The phalanx of Monsanto men and women confirms that it doesn’t really matter who presides at the White House or Congress. Corporations rule the Kingdom. Which is WHY the U.S. Military, arguably the single greatest polluter on earth thrives with $$ upon $$$ upon $$$$ no matter who’s in office. And don’t think for a minute that all this corruption is limited to two branches. While still serving as Obama’s solicitor general, Elena Kagan wrote a brief requesting that the Supreme Court lift a ruling by an appeals court forbidding the planting in California of Monsanto’s genetically engineered Roundup Ready alfalfa. In August, 2010, Kagan was confirmed as a Supreme Court justice… sitting beside Justice Clarence Thomas, a former lawyer for Monsanto. Priority must be given to reversing and correcting the blatant disregard for law that has been incorporated into regulatory decisions. And we must — simultaneously — pay attention to other matters. The federal level — road — is dead to us for now. And we must get creative to circumvent its toxic stranglehold on the world. We must get onto a healthy track. The Peace Train is here… waiting for us to board without our dangerous baggage. Three tracks diverged in a hellish, hazardous woods. One encourages violence. The other two represent opportunities on peaceful tracks involving the electoral arena. Focus on the track laid out with federal funds must disappoint, but that Peace Train track provides a healthy ride on another level. Contact me for a free ticket to ride in solidarity along new lines. Richard Martin Oxman, Director of Flannery O’Connor Academy, has been an educator on all levels for over half a century, and has been involved in civic engagement for longer than that. He can be reached at aptosnews@gmail.com. This piece is dedicated to Folsom Educational Academy, where he hopes to be teaching soon. [Pause.] God willing.